In recent years, while taxi companies have increasingly been moving to more environmentally friendly vehicles such as hybrids and even electric taxis to ferry passengers around, nothing is more exciting than to see driverless taxis taking you to where you need to be. You may heard of nuTonomy, the startup that has been testing a fleet of self-driving taxis in one-north earlier this year; with their latest round of funding, they have set their sights to fully go commercial with their service in 2018. Well, they will have some competition coming their way as yet another company has entered the fray. 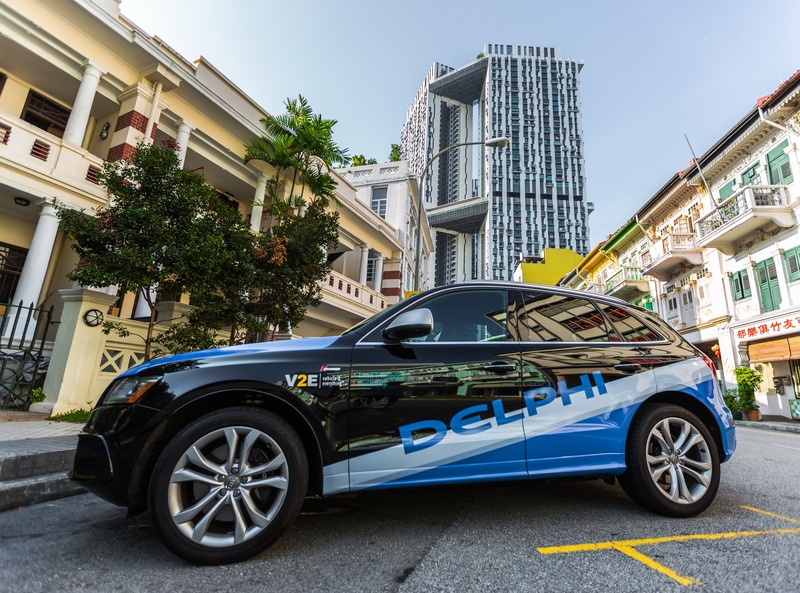 Today, Delphi Automative announced that they have been selected by the Land Transport Authority (LTA) for an ‘Autonomous Vehicle Mobility-on-Demand Program’, slated to begin next year. 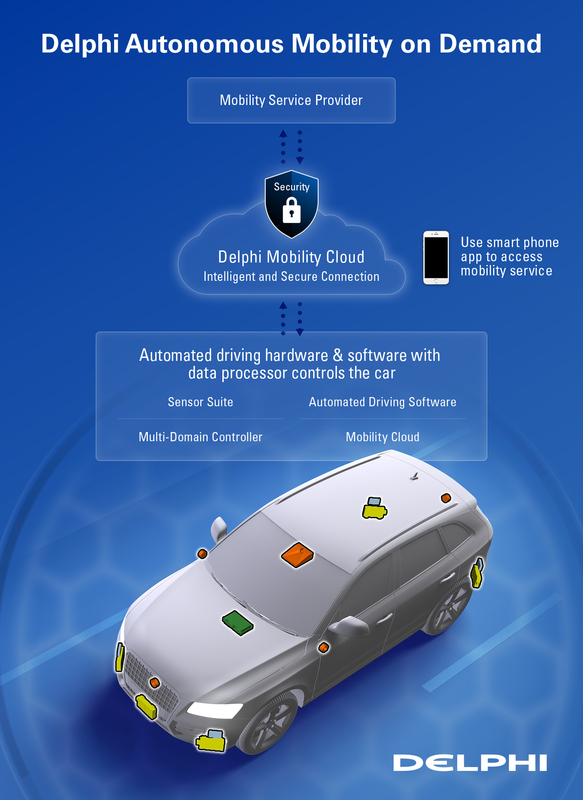 Through this strategic partnership, Delphi will provide a fleet of fully autonomous vehicles and will develop a cloud-based mobility-on-demand software (AMoD) suite to operate and monitor all their vehicles. 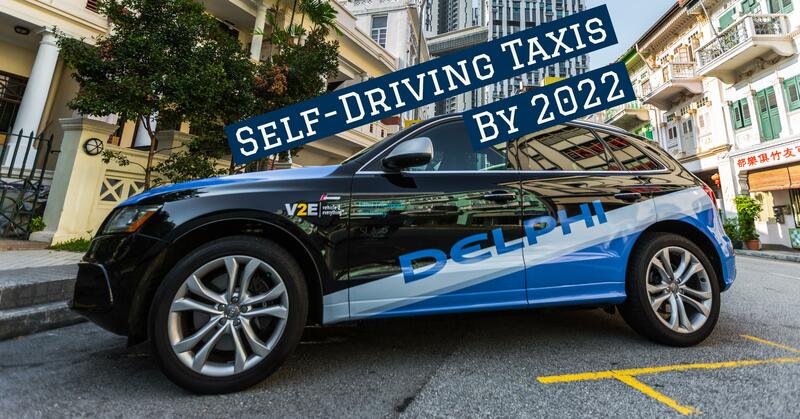 With the help of Delphi’s leading technologies in advanced safety and automated software, they will be implementing autonomous mobility concepts in a bid to “put Singapore at the forefront of autonomous vehicle adoption”, says President and Chief Executive Officer, Kevin Clark. As to where these vehicles will start their trial of service at is an obvious choice. 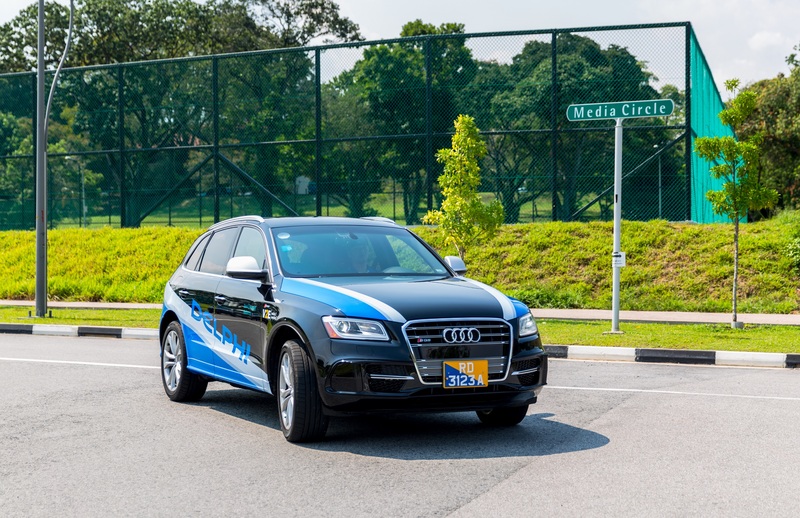 We’re talking about the home of Singapore’s Autonomous Vehicles Test Bed – one-north, where nuTonomy is also based, and this is where Delphi will conduct a trial of an urban, point-to-point, low-speed, autonomous, mobility-on-demand service. Speaking to Channel NewsAsia, Glen DeVos, Vice-President of Engineering at Delphi, mentioned that typically, a trip in a taxi within a dense urban area can cost around USD$3 to 4 a mile (around SGD$4-5.30 for 1.6km). He thinks that they can significantly reduce the fares to about USD90 cents a mile (around SGD$1.2o) with an automated vehicle. Why this is important is because of the government’s push to reduce overall traffic congestion as well as vehicular emissions, thus increasing the need for public transportation. Thus, it is LTA’s aim to make it easier for commuters when transiting the “first mile” and “last mile” between an MRT station and their home or workplace; with hopes that automated vehicles will be able to fill this void. The fleet of vehicles to be used in the trials here will be from Audi, and they will be equipped with Delphi’s automated driving and mapping systems, with plans to expand the trials with the additional introduction of electric vehicles. During the trials, the cars will have drivers behind the wheel to take over if the piloting systems fail. However, there are hopes that by 2019 or 2020, the cars will be fully independent of drivers, and by 2022, the service will be stable enough that the only human beings in the cars will be the passengers. Is The Traditional Taxi On The Path To Extinction? With nuTonomy and Delphi now vying for driverless taxi ride supremacy in Singapore, and the likes of Uber and Grab also exploring the possibilities of integrating the self-driving car into the midst of their drivers, what will the future hold for the likes of ComfortDelgro and co?